In chemistry, a silicate is a compound containing an anion in which one or more central silicon atoms are surrounded by electronegative ligands. Most often, the ligands are oxygen atoms (to produce anions such as [SiO4]4−), but in some cases, the ligands are fluorine atoms (to produce anions such as hexafluorosilicate, [SiF6]2−). In each compound, the net negative electrical charge on the anions is balanced by the positive charge on cations, so that the compound is electrically neutral. In mineralogy, the silicate class constitutes the largest and most important group of rock-forming minerals. According to some estimates, silicates make up 90 percent of the Earth's crust, and about 30 percent of all minerals are silicates. Silica, or silicon dioxide, SiO2, is sometimes considered a silicate, although it is the special case with no negative charge and no need for counter-ions. Silica is found in nature as the mineral quartz and its polymorphs. In the vast majority of silicates, including silicate minerals, silicon shows tetrahedral coordination, in which each silicon atom is directly attached to four oxygen atoms. The tetrahedra in different minerals have different degrees of polymerization: they may occur singly or joined together in pairs or larger clusters, including rings, single chains, double chains, sheets, and three-dimensional frameworks. The minerals are classified based on the structures of these anions, as noted below. At very high pressures, silicon may adopt octahedral coordination, in which each silicon atom is directly attached to six oxygen atoms. 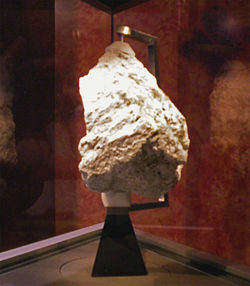 This structure occurs in the dense stishovite polymorph of silica found in the lower mantle of the Earth, and it is also formed by shock during meteorite impacts. Lack of space around the oxygen atoms makes this coordination for Si very rare at ordinary pressures, but it is known in the hexahydroxysilicate anion, [Si(OH)6]2−, as found in the mineral thaumasite. In geology and astronomy, the term silicate is used to denote rock types that consist predominantly of silicate minerals. Silicate rocks may belong to any of the three major classes: igneous, metamorphic and sedimentary rock. Most of the mantle and crust are made up of silicate rocks. Silicates are also major constituents of the Moon and the other rocky planets. Recently, they have been observed around evolved stars and planetary nebulae. On Earth, a wide variety of silicate minerals occur in an even wider range of combinations. They are produced by processes that form and rework the crust. These processes include partial melting, crystallization, fractionation, metamorphism, weathering, and diagenesis. Living things also contribute to the silicate cycle near the Earth's surface. A type of plankton known as diatoms construct their exoskeletons, known as tests, from silica. The tests of dead diatoms are a major constituent of deep ocean sediments. Among minerals, silicates form the largest and most important group. These minerals are classified according to the structures of their silicate anions, as given below. Nesosilicates (also known as isosilicates or orthosilicates): They contain the anion [SiO4]4− that has a tetrahedral shape. The tetrahedra are isolated but held together by interstitial cations. Examples are members of the olivine and garnet mineral groups. Sorosilicates: They are characterized by anions with the formula (Si2O7)6−, in which the ratio of silicon atoms to oxygen atoms is 2:7. Each anion is a double tetrahedron. Examples are members of the epidote group of minerals. Cyclosilicates (or ring silicates): These silicates are characterized by ring structures of different sizes, but the ratio of silicon atoms to oxygen atoms is generally 1:3. They have linked tetrahedra, and their general chemical formula is (SixO3x)2n-. The anions can be 3-member, 4-member, or 6-member rings. 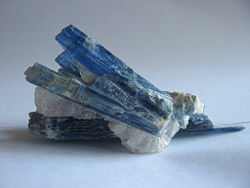 3-member rings, with the formula (Si3O9)6-, are found in benitoite. 4-member rings, with the formula (Si4O12)8-, are found in axinite. 6-member rings, with the formula (Si6O18)12-, are present in beryl and tourmaline. double chains, with the formula (Si4nO11n)6n− (4:11 ratio of Si to O atoms). The pyroxene group of minerals are examples of single-chain inosilicates; the amphibole group are examples of double-chain inosilicates. Phyllosilicates (or sheet silicates): These minerals form parallel sheets of silicate tetrahedra. The general chemical formula of the anion is (Si2nO5n)2n− (2:5 ratio of Si to O atoms). Examples are the mica and clay groups of minerals. Tectosilicates (or framework silicates): This is the largest group of silicates, constituting nearly 75 percent of the Earth's crust. They are characterized by a three-dimensional framework of silicate tetrahedra. 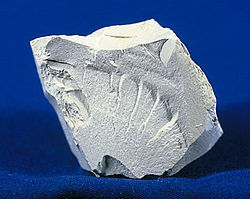 Examples are members of the quartz, feldspar, and zeolite groups of minerals. Except for the quartz group, they are aluminosilicates, with the general chemical formula (AlxSiyO2(x+y))x− (1:2 ratio of Si to O atoms). The tectosilicates can have additional cations only if some of the silicon is replaced by a lower-charge cation such as aluminum, to give a negative charge overall. This substitution can also take place in other types of silicates. Some rare minerals have more than one type of anion coexisting in their crystal structures, or they may contain complex anions that are intermediate between the types noted above. This page was last modified on 18 September 2015, at 16:43.